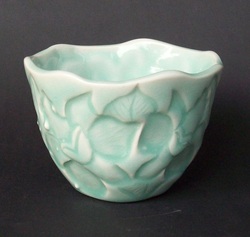 This small bowl has been slip cast from a plaster mould for which I carved the original piece. It comes boxed in corrugated cardboard approx 8.5cm sq. 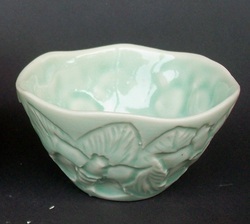 Bowl is approx 5.5cm h x 8cm w $25.00 Photo by artist.